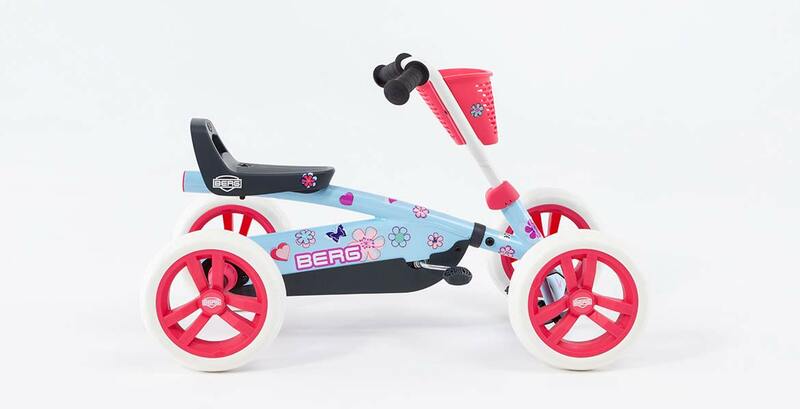 For the younger children we now have the BERG Buzzy Bloom! 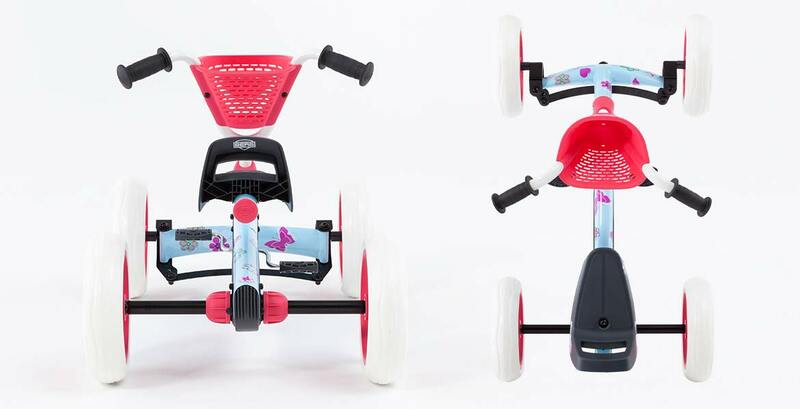 This cute looking go-kart with handy storage basket on the front is ideal for taking your toys with you. 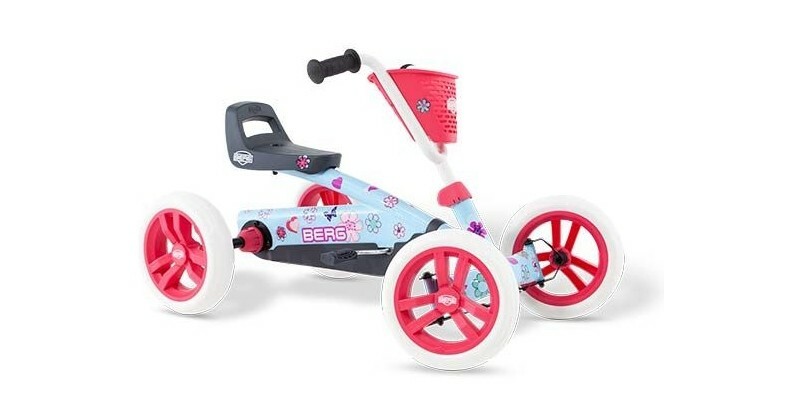 The adjustable steering wheel and seat means this go-kart is suitable for children aged 2 to 5. 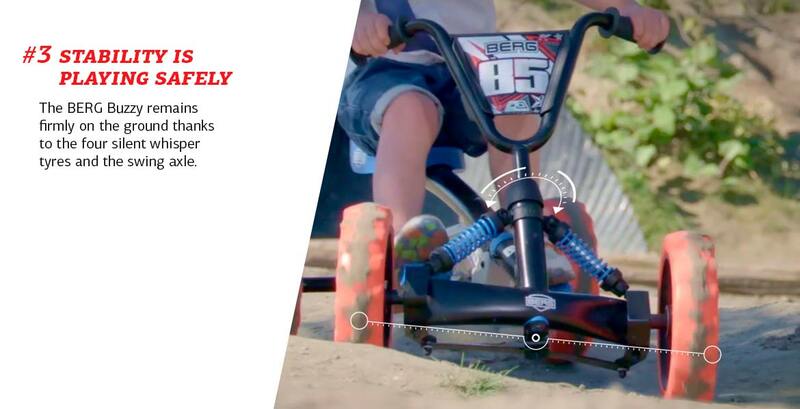 It can also help children learn to pedal! 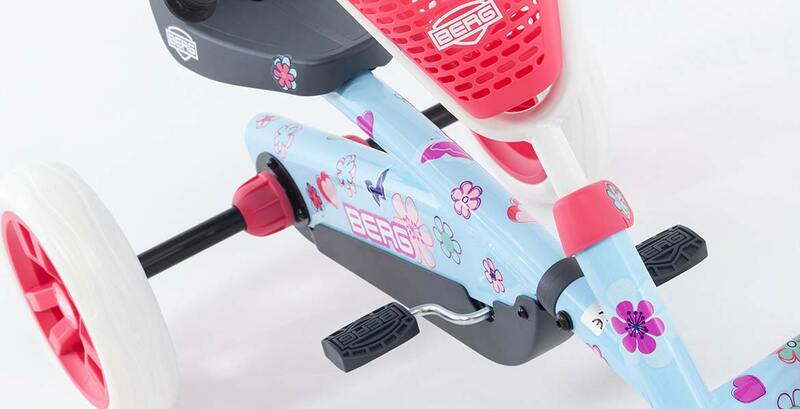 Did you know that the BERG Buzzy Bloom stickers can be applied to suit your own personal taste? With every Buzzy Bloom you will receive a full sheet of stickers! 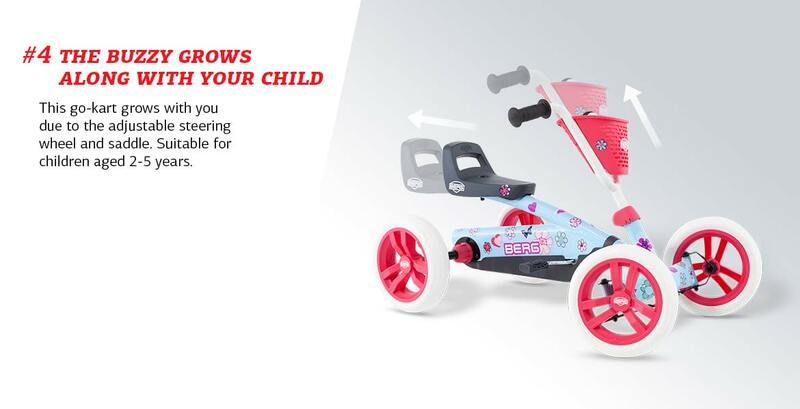 Forwards, backwards, stopping within a few seconds, it can all be done with the go-karts from the BERG Buzzy family. 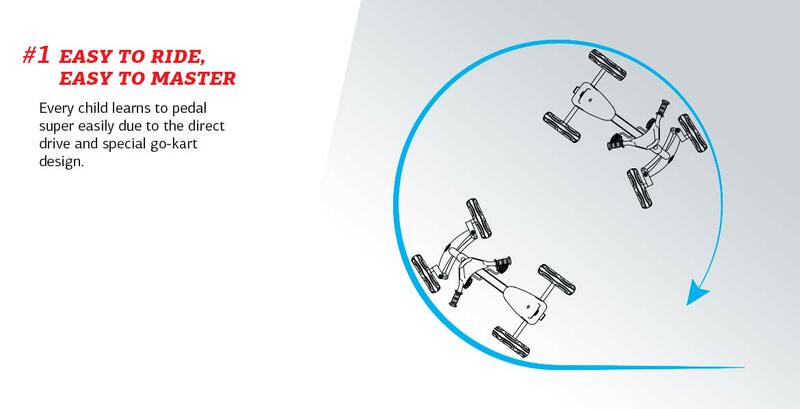 The pedals remain within reach at all times and the four wheels make the go-kart super stable. 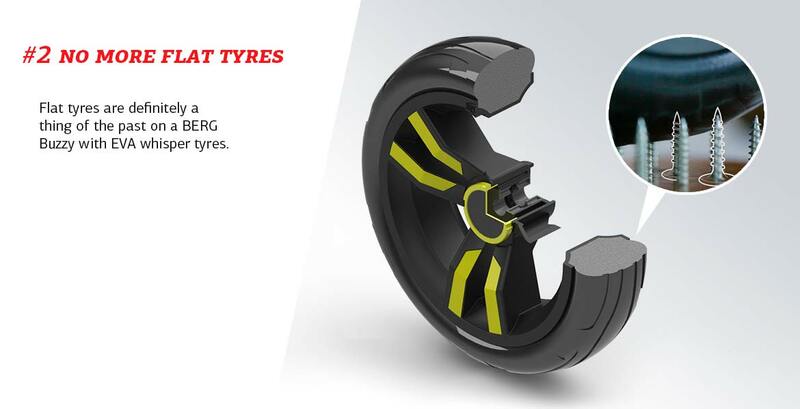 Years of playing fun guaranteed!